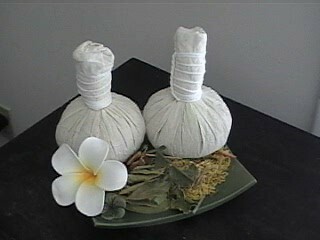 Thai Herbal Hot Stem Body Treatment, is a wonderful and natural body treatment. The blend of herbs is the traditional recipe of the Wat Po temple in Bangkok. Our recipe and treatments are sure to start you clients on their journey to paradise. Combine with traditional Thai Massage movements to release blocked energy, increasing awareness and vitality. Buy 6 or more Stems and receive special Bulk Pricing of just $15.00 for a set of 2. All are wrapped in unbleached Cotton for purity and vacuum packed to preserve freshness. No preservatives or chemicals are added; all natural herbs.